The College of ACES College Connection was held on Saturday, September 10 at the Hilton Hotel and Conference Center. 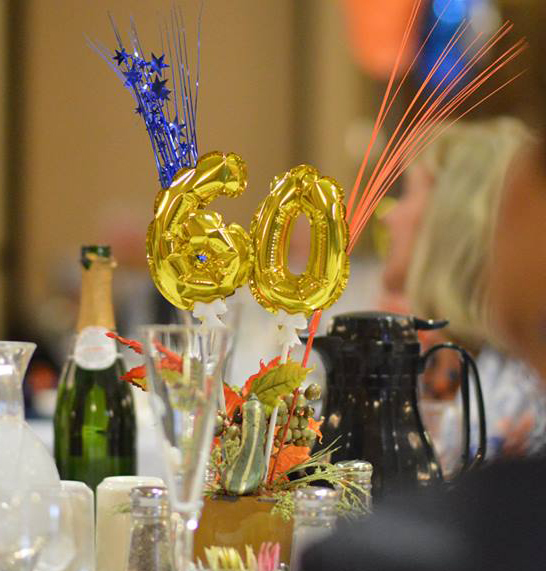 Over 200 alumni and friends joined to celebrate the College of ACES Alumni Association's 60th anniversary and recognize several alumni and friends that were recognized. 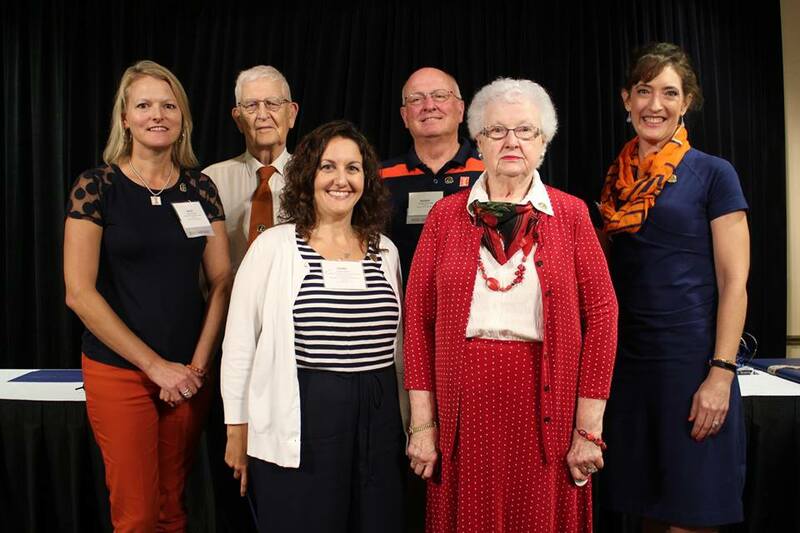 A wonderful panel shared the highlights of the College of ACES Alumni Association history highlighting the Home Ec Alumni Association, Ag Alumni Association and the merger to the ACES Alumni Association. Panel members Barb Jurgens, Larry Fischer, Greg Oltman and Jim Wright shared about their experiences and the memories they had of the association milestones, which was moderated by Colleen Callahan. Three recognitions were presented to honor this 60th milestone of the association by Ed McMillan, Chair of the Board of Trustees, Angie Eckert, University of Illinois Association Board members and a certificate of recognition by the Adam Brown from the Illinois House of Representatives. 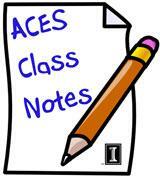 To view videos of the day, visit the ACES Alumni Association Facebook Page. Today, as we in the ACES Family look to the future we hope that you will help to support our family tree. As we celebrate 60 years, it is my hope that you will join the College of ACES Alumni Board in making the next 60 years even better! We ask that you will join us today in pledging $60 in recognition of the 60th Anniversary of the College of ACES Alumni Association! 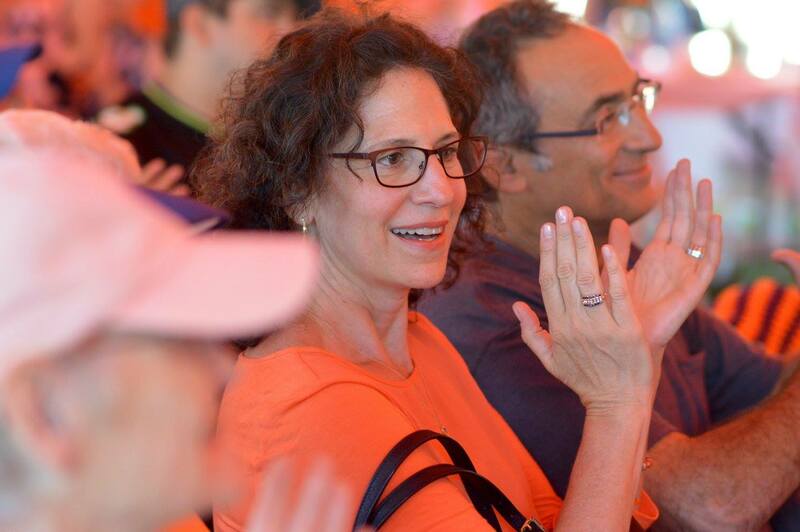 Your $60 contribution will directly support the work of the ACES Alumni Association. Our goal is to raise $60,000 (1000 individuals contributing $60) to not only commemorate the 60th anniversary of the ACES Alumni Association but this annual fund will support the ACES Alumni Association continued Alumni Engagement Opportunities, Alumni Recognition and Awards Programs, Student Development, and more. Give online to the ACES Alumni Association Fund. Hear from Dave Brown, ACES District 4 Director why he is supporting the 60 for 60 campaign! 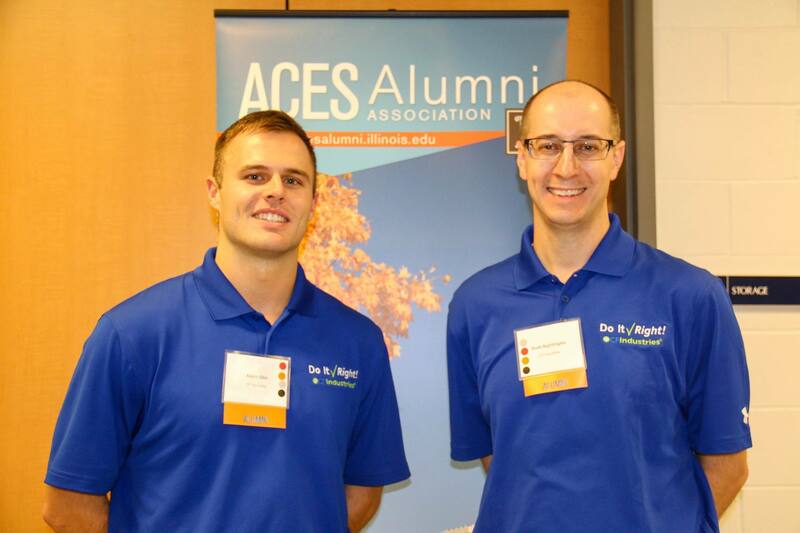 The ACES Alumni Board is seeking four ACES Alumni Board positions on the ACES Alumni Board of Directors beginning in December 2016. The Board of Directors meets four times per year on a week day. This year's elections will occur during the December board meeting of the ACES Alumni Board of Directors, December 2, 2016. Most of the meetings are held on campus, unless otherwise decided by the executive board. The Young Alumni Director is responsible for representing recent ACES graduates under the age of 40. He/she communicates the needs and concerns of these alumni to the ACES Alumni Association Board of Directors. The director also provides leadership to programming that offers current students a better understanding of what the Alumni Association is and better defines the benefits of membership and how the Alumni Association functions. Nominees must have received a degree from the University of Illinois at Urbana-Champaign College of Agricultural, Consumer and Environmental Sciences. The nominee must be under the age of 40 at the time of election. Each vocational director is responsible for representing ACES alumni who graduated from a specific degree of study based on the seven departments and representatives of majors departments (Ag Education & Ag Communications) within the College of ACES. He/she communicates the needs and concerns of constituents from their department to the ACES Alumni Association Board of Directors. The Director communicates with the Department Head/Faculty or Staff and assists with departmental alumni events, advisory boards and other programs as needed. Nominees must have received a degree in a course of study or shall have pursued a vocation or profession which involves the course of study within the Natural Resources and Environmental Sciences Department from the University of Illinois at Urbana-Champaign College of Agricultural, Consumer and Environmental Sciences. Each vocational director is responsible for representing ACES alumni who graduated from a specific degree of study based on the seven departments and representatives of majors departments (Ag Education & Ag Communications) within the College of ACES. He/she communicates the needs and concerns of constituents from their department to the ACES Alumni Association Board of Directors. The Director communicates with the Department Head/Faculty or Staff and assists with departmental alumni events, advisory boards and other programs as needed. Nominees must have received a degree in a course of study or shall have pursued a vocation or profession which involves the course of study within the Human and Community Development Department from the University of Illinois at Urbana-Champaign College of Agricultural, Consumer and Environmental Sciences. Each district director is responsible for representing ACES alumni who reside within a specific geographic region in Illinois. He/she communicates the needs and concerns of constituents in their district to the ACES Alumni Association Board of Directors. The director also coordinates at least one social or professional event in his/her district during the academic year which includes securing a location and caterer, identifying the program participants, and working with the Alumni Association staff on creating the invitation and mailing lists. Nominees must have received a degree from the University of Illinois at Urbana-Champaign College of Agricultural, Consumer and Environmental Sciences. The nominee must reside in one of the following counties: Champaign, Douglas, Ford and Vermillion. During ACES College Connection, we had the opportunity to recognize Dean Robert Hauser who has spent 35 years at the University of Illinois and has Illini in his blood. Dean Bob Hauser will retire from being our dean of the College of ACES at the end of October. We thank him for his many contributions to the college as well as his support of the ACES Alumni Association. During Bob's time as a professor, department head and dean he has been very hands on in helping to build relationships with alumni and has been active in attending ACES Alumni events, travelling with alumni as CARET representatives to Washington, DC or by listening to our industry representatives and helping solve global issues. He has made an impact on all of us and we are grateful. Thank you for your service to the University of Illinois, College of ACES and your support of alumni relations around the globe. At the ACES College Connection, members of the Round Barn Society were pinned during the celebration. The Round Barn Society is an organization dedicated to recognizing alumni that have brought honor and distinction to our college and University. Each of you have made a difference in your roles as volunteers, your careers and accomplishments, in your communities and as an alumni of this fine college and University. Angie Eckert. Angie served on the ACES Alumni Board of Directors for 20 years beginning in 2000 and served as Young Alumni Director, Vice President and President. Dawn Bohn. Dawn joined the ACES Alumni Board of Directors in 2007 and served as the Food Science and Human Nutrition Vocational Director, Treasurer and Secretary. Roger Sanders. Roger joined the ACES Alumni Board of Directors in 2009 and completed his term last year. He served as the District 7 Director for 6 years. Marilyn Tanner Blasiar. Marilyn received the Young Alumni award in 2004. Martha Zimmerman. Martha received the Home Economics Alumni Award of Merit in 1982. 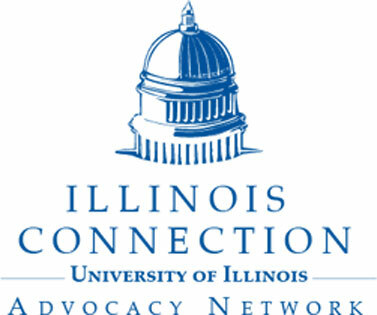 Join the University of Illinois for a variety of events in the greater Chicago area! 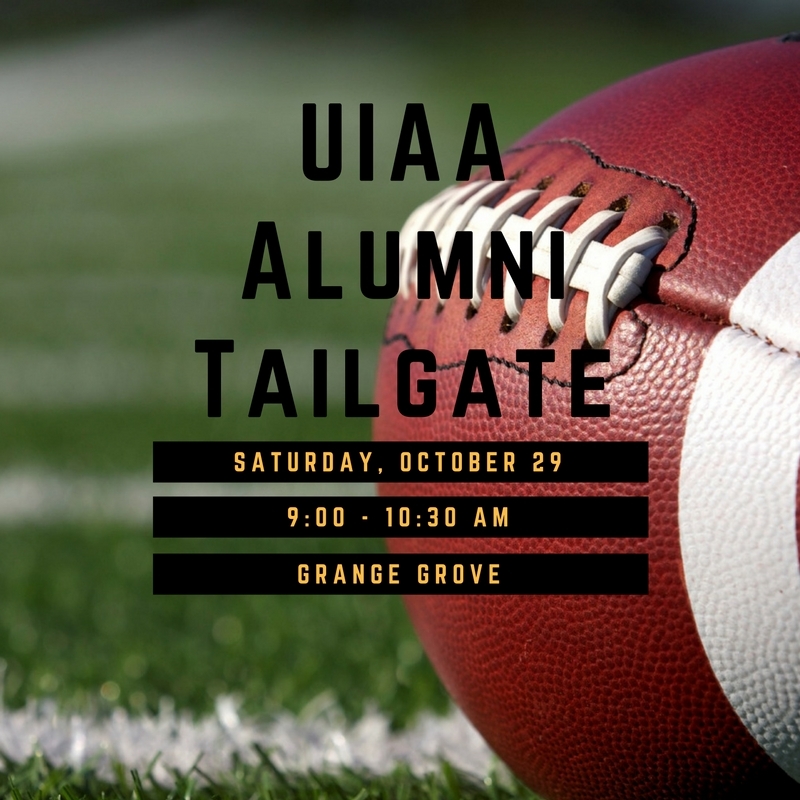 Events include lunches, talks by campus leaders and alumni, receptions, and a Marching Illini concert. 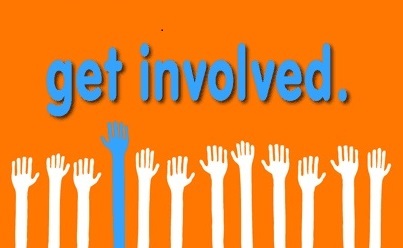 Visit https://give.illinois.edu/illinidays for a full list of activities and to learn how you can participate! Check out the event calendar for more dates and times. Christopher Hall Celebrates 10 Years! The College of ACES celebrated the impact of 10 years of Christopher Hall on Thursday, October 6. Doris Kelley Christopher Hall, made possible by a generous donation from the ACES alumnus, opened in 2006. Christopher Hall allows the University of Illinois to contribute to its land-grant mission of education, research and outreach all in one building. The celebration brought attention to the many accomplishments of the past decade and the outstanding research, teaching and public service yet to be done. Learn More about the 10th anniversary. Learn More about the Family Resiliency Center. Salute to Agriculture Day tailgate was held on Saturday, September 10, 2016. Sponsored by the exclusive provider of the Illinois VISA Rewards Card, the University of Illinois Community Credit Union. 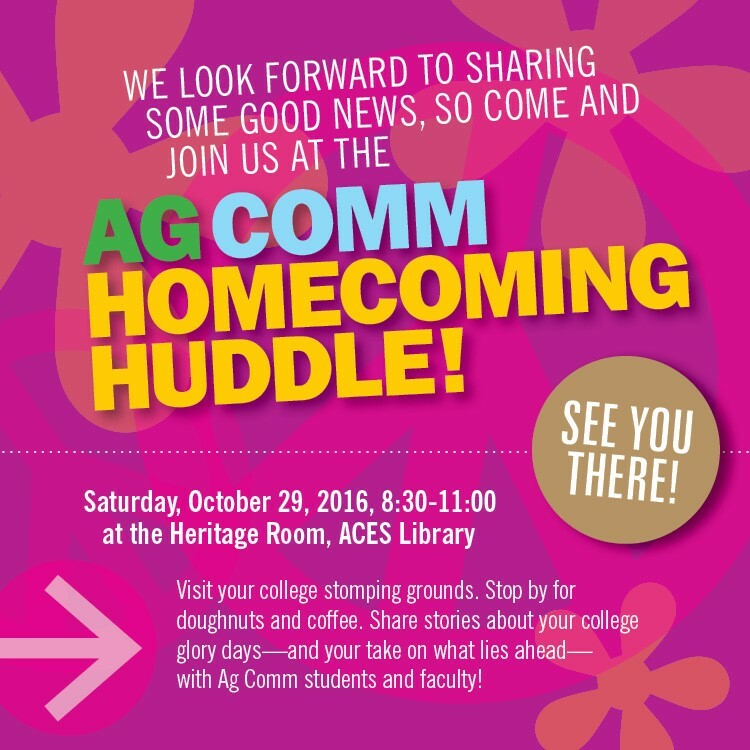 Join the Ag Communications students and staff during Homecoming weekend for the Ag Comm Huddle. Visit your college stomping grounds and stop in for doughnuts and coffee! Share stories about your glory days and here what lies ahead! See you there! The College of ACES Career Fair was held on Thursday, October 6 at the ARC in Champaign-Urbana. it was a great opportunity to meet ACES Alumni, hear about their careers and introduce them to current students! Many of our alums make it a priority to return to campus to recruit our students! We are grateful for all of you that returned, provided advice to our students and hired them for internship or full-time opportunities! We had the privilege of taking photos and interviewing several alumni about why they return to campus! Thank you for your continued support of ACES! 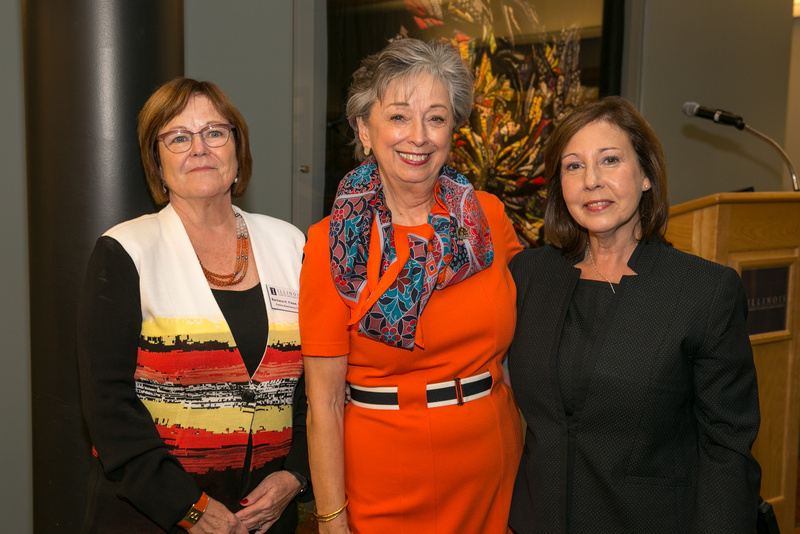 The ACES Alumni Board of Directors recognized four board members completing their terms at the ACES College Connection event. Thank you to the following board members for their loyalty, dedication and service to the College of ACES. Jim Testin. Jim joined the ACES Alumni Board of Directors in 2010. He has served as the NRES Vocational Director for the past 6 years. Amy Leman. Amy joined the ACES Alumni Board of Directors in 2010. She has served as the Human Development and Family Studies Vocational Director for the past six years. Kenny Eathington. Kenny began his role on the ACES Alumni Board in 2004 serving as District 3 Director, Vice President, President and Past President. We also recognized Bill Francis for his leadership as the current President of the ACES Alumni Association Board of Directors. Bill has served the ACES Alumni Association for ten years beginning his first year in 2007 serving as the District 4 Director, Vice President, and currently as President. 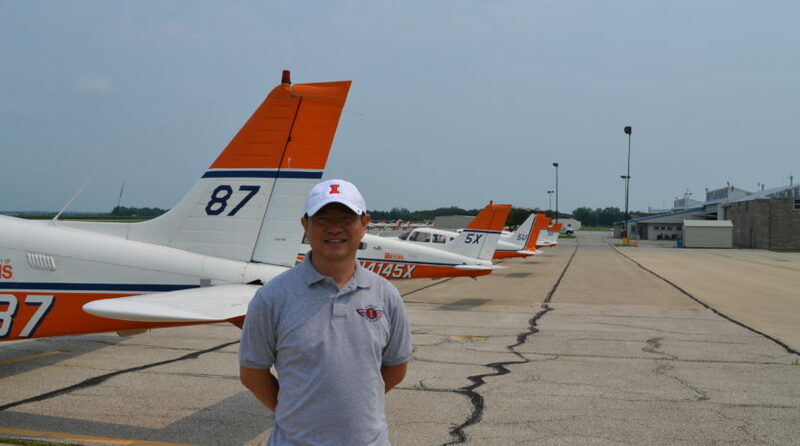 He has been an advocate for the College of ACES and University of Illinois and has showed his Illini pride in all he does to engage our alumni. Bill will be completing his term as President in December and we want to thank him for his leadership and outstanding service to the University of Illinois and College of ACES. Congratulations to Lyle Orwig who has been selected to serve as the Ag Communications Vocational Director on the University of Illinois College of ACES Alumni Association Board of Directors. Lyle graduated from the College of ACES with a Bachelors of Science in Ag Communications in '74. 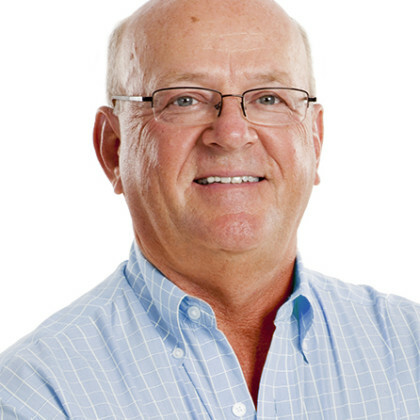 Lyle is the Chairman and Partner of Charleston|Orwig. Lyle states, "Much of my career success can be directly attributed to the education and networking that I learned in Mumford Hall. I want to insure that “The Next 500” AgComm students have the same quality of program that I was so lucky to enjoy." Welcome Lyle! Congratulations to Tim McDermott who has been selected to serve as the Ag Education Vocational Director on the University of Illinois College of ACES Alumni Association Board of Directors. Tim graduated from the College of ACES with a Bachelors of Science in Ag Education in '04. 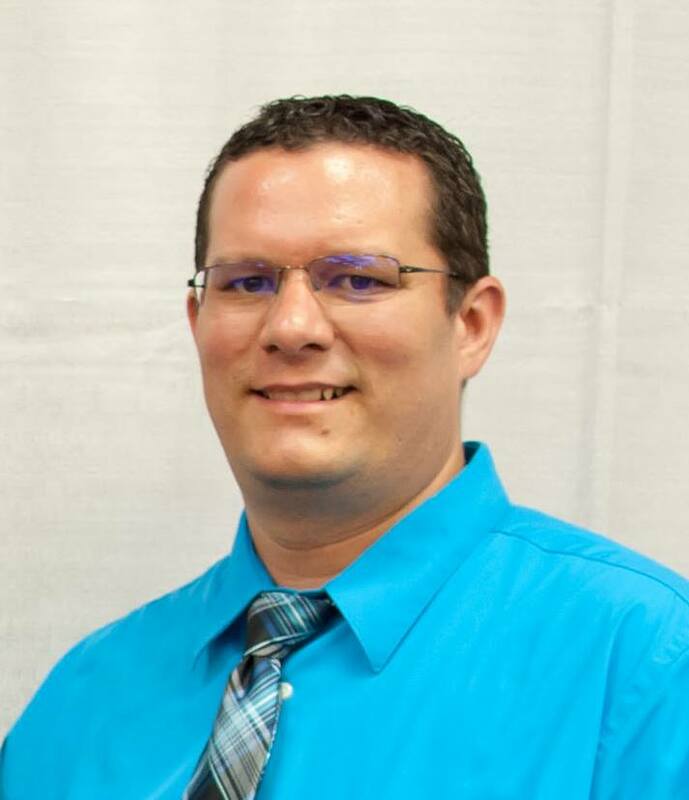 Currently he is an agricultural instructor at Waterloo High School and has taught for 13 years. 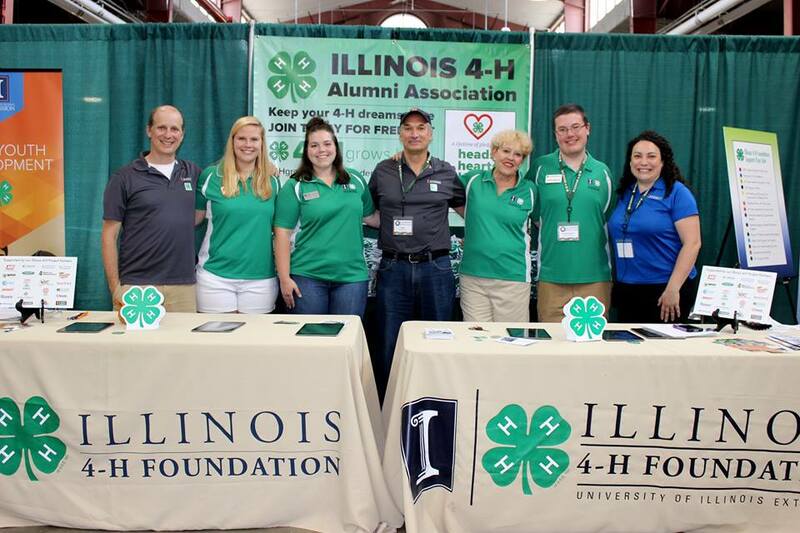 Tim states, "The University Of Illinois College Of ACES provided a quality education and many experiences that I utilize in my classroom and program every day are a direct result of my experiences as a student in Agriculture Education in the College of ACES." Welcome Tim! 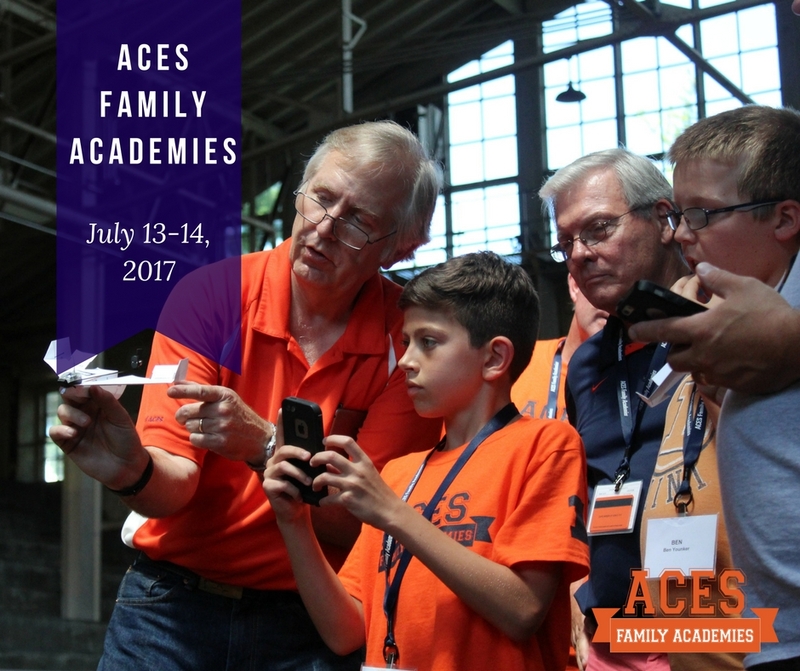 The College of ACES Alumni Association will once again host the ACES Family Academies program on campus for a 1.5 day event on July 13-14, 2017. ACES Family Academies provides ACES alumni the opportunity to be on campus for a 1.5 day experience with educational programs, and an opportunity to live in the dorms and eat in the dining halls as well as experience and share campus life with another generation of your family - a child, grandchild, niece or nephew. We hope you will SAVE the DATE or gift this experience to a family member for a holiday gift, birthday or a special summer experience with a family member! We look forward to expanding our opportunities for families to return to campus and enjoy this hands on, educational experience! Chicago fine art photographer, designer, and marketing consultant Richard E. Brooks will be exhibiting photographs showcasing 50 years of work. Fifty of Brooks' photographs will be on display at the Illini Union Gallery November 3-28. Graduating with a B.S. degree in Agricultural Communications from the University of Illinois in 1967, Brooks has received numerous prestigious photo commissions from the University of Illinois Foundation. He served as principal photographer for a coffee table book by John E. Corbally, president of the University of Illinois, 1971-1979. He was also executive producer of Country/USA which documented rural America through the lenses of 102 photographers on a single day, October 1, 1988. 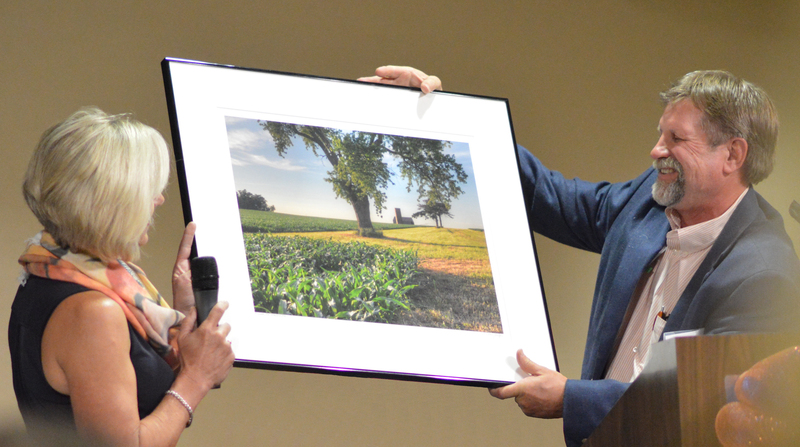 In 2014, Brooks endowed the Richard E. Brooks Ag Journalism/Photography Scholarship within the University of Illinois Ag Communications curriculum. He has been documenting nature's finest for over 50 years, capturing images—from the pristine Keukenhof Tulip Gardens in Holland to the spectacular dual Allerton estates in Kauai, Hawaii and Monticello, Illinois. His images, which include those of the San Francisco Botanical Gardens, are popular with collectors worldwide. An informal public reception will be held at 4:30 pm on November 3 at the Illini Union Gallery. 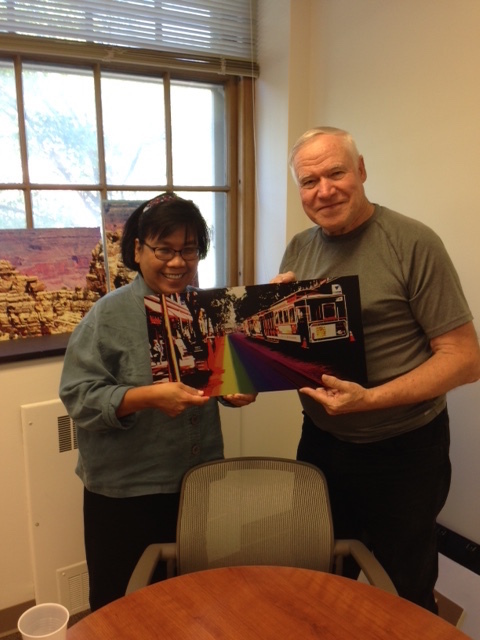 Photo: Ag Comm director Lulu Rodriguez inspects images sublimated into metal taken by alum Richard E. Brooks whose photos will be on display at the Illini Union Gallery November 3-28. 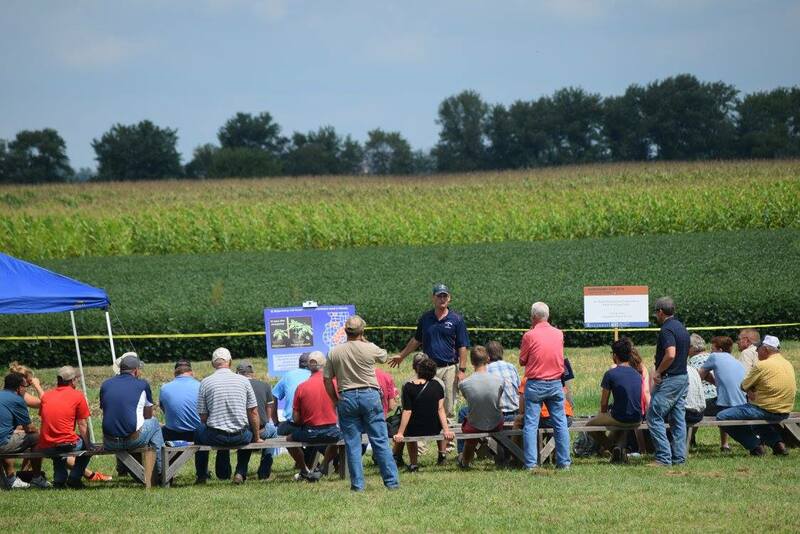 Agronomy Day was a collaborative field day hosted by the Department of Crop Sciences in partnership with several academic units in the College of Agricultural, Consumer and Environmental Sciences (ACES). Participants learned about nitrogen management to seeing drone demonstrations. Agronomy Day shared cutting-edge research with practical implications for your farm or business. Thank you for supporting the College of ACES and joining us for the day! 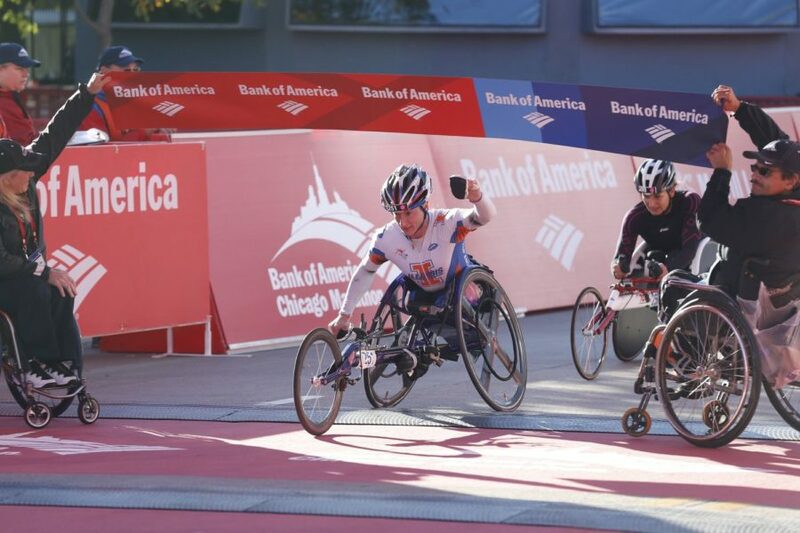 Tatyana McFadden, ’13 ACES, won yet another Bank of America Chicago Marathon in the women’s wheelchair race on Sunday, Oct. 9. It is her sixth-consecutive title. She finished in one hour, 42 minutes and 28 seconds. Captain Bo Zhang performed China’s first flight around the world in a propeller driven aircraft. The journey took 3 months and Bo landed in Champaign-Urbana for a stop in his flight on August 17, 2016. Dr. Zhang departed from Beijing on Aug. 7 and flew approximately 25,000 miles by way of 11 countries on a route that includes the first-ever flight along the Silk Road—an ancient network of trade routes. He flew over each line of longitude. The entire trip was expected to take 58 days, with Dr. Zhang making more than 30 stops along the way. View photos from the welcome reception.